Best. | Eat More Plants. So effing hot today. My body was not ready for this! I think it hit 95 degrees and it’s supposed to be the same tomorrow. It was that kind of hot weather that you feel like you’re walking through hot soup, the air is SO thick and humid. Thank god for the pond! We spent most of the day down there on the “floaties” as my three year old calls them. We got this big, three person blow up tube thingy. I’ll have to post a picture of it for a better idea lol. So this gelato I got from the grocery store is amazing. I got limoncello and blood orange flavored. Imported from Italy and worth every penny! Smooth and creamy. 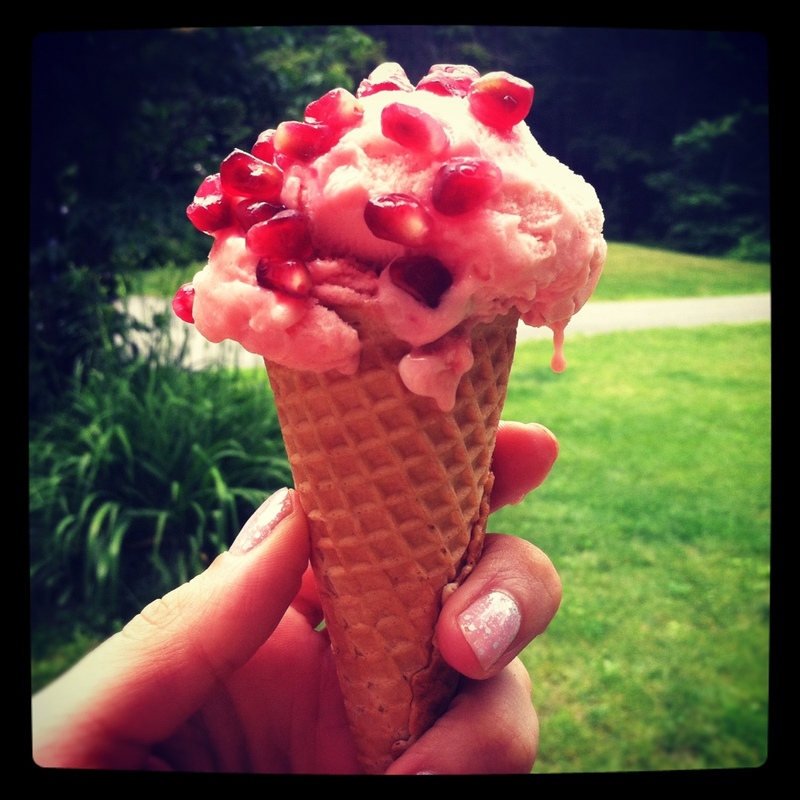 I put some pomegranate seeds on there instead of sprinkles, best idea ever. So good!